The Brigitte Escobar Trio offers a special jazz experience for music lovers. In the stylish tradition of the great Ella Fitzgerald, the trio delivers an elegant blend of old style swing and modern day sophistication. Brigitte’s enchanting, sensual vocals combine with the cool flair of Scandinavian jazz sound to create an irresistible jazz cocktail that leaves its audience wanting more. Effortlessly evoking the great sounds of Sinatra, Nat King Cole, Gershwin and Cole Porter, the trio is equally at home in the exotic world of Latin jazz, with Brigitte Escobar’s South American roots lending an unmistakable authenticity. 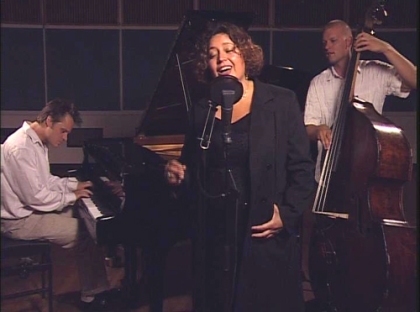 Jazz vocalist Brigitte Escobar is an international performer with many years of live and studio experience. With her multicultural background, she sings fluently in a many different languages (Spanish, Portuguese, Danish, Swedish). Her main influences are Ella Fitzgerald, Billie Holiday, and Nina Simone. Brigitte has a special affinity for Latin jazz, which she sings with the original Spanish lyrics. Brigitte's engagements include performances at hotels, jazz venues and music festivals across Europe and Asia, and as supporting act for Celia Cruz, Buena Vista Social Club, Afro Cuban All Stars. She performed at the UEFA Euro Cup Final 2003, and EXPO '92. Danish jazz pianist Thomas Walbum is an active jazz performer, composer and arranger. He has toured internationally with numerous bands and ensembles, and recorded several CDs, including his latest album Boston with the Thomas Walbum Trio. He holds a Master of Music degree from Berklee College/ Boston Conservatory, USA, and is a graduate of the Rhythmic Conservatory in Copenhagen. Thomas has performed and composed for Danish TV productions, radio shows, and live venues in USA, Europe and Australia. Bassist Lars Johnsen is one of the most experienced young professional bass players on the Danish jazz scene. He appears regularly in live venues around Copenhagen and has been a collaborator on several CD projects. Lars is a graduate of the jazz program at the Conservatorium of Music in Denmark, and later went on to study in New York with some of the great names in modern jazz, artists Cecil McBee, Hal Galper, and John Pattitucci. He is currently preparing his debut CD as leader, which is due for release in early spring.